Each issue of the Grounded Theory Review includes a general section and potentially also a themed section, a section for shorter conceptual discussions, and a section for book reviews. Each article for the general section and the themed section should be 4,000-8,000 words long, inclusive of references. Shorter conceptual discussions and book reviews should be 1,000-3,000 words long, including references. To suggest book reviews, please contact the editor. Papers should not have been published before or be under consideration for publication elsewhere, but the author is free to republish the paper elsewhere later. There are no article submission charges or article processing fees. All papers are subject to a double-blind peer review by experienced grounded theorists at the editorial board. Submitted papers will go through up to two rounds of refereeing, and we aim to turn around papers as quickly as is consistent with a thorough evaluation of their contribution. Papers based on other fundaments for grounded theory than the classic approach as outlined by Glaser/Strauss (1967) and later by Glaser, are outside the scope of this journal. Authors are required to adhere to the latest version of APA (American Psychological Association) style and to the guidelines outlined below. Submissions that do not follow the style guide will be returned to authors. Papers should be prepared in Microsoft Word docx format. Use single-spaced text in Verdana 10 point font and employ italics rather than underlining, except with URL addresses. Length of papers for the thematic and general sections is 4,000-8,000 words, including references. Book reviews and shorter conceptual discussions should be 1,000-3,000 word of length, including references. The front page of the paper should include the title of the paper, names of all authors, their affiliations and professional degrees. Include the email of the corresponding author and a brief biographical statement (100-130 words) of each author. The front page is followed by a title page, which includes an abstract of 100 to 150 words. The author(s) name(s) should be removed from anywhere in the paper. If an author is cited, replace the name with “author” and year. References should appear as a separate section titled ‘References’ at the end of the paper. References should conform to APA publication format. Please do not use endnotes or footnotes. Our preference is to minimize the use of graphics, figures, and tables. If they are necessary, authors of papers accepted for publication will be asked to supply print ready artwork. Graphics must be black-and-white. Graphics should be embedded in manuscript to show placement, but please also supply original graphic separately. As an academic, open access journal, the Grounded Theory Review is dedicated to the open exchange of information. 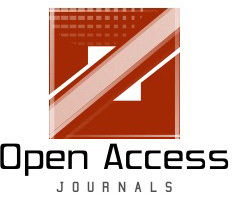 Copies of articles in this journal may be distributed for noncommercial purposes free of charge and without permission. The copyright of papers published in the Grounded Theory Review stay with the author. The Grounded Theory Review does not have a specific creative commons license, but allows readers to read, download, copy, distribute, print, search, or link to the full texts of its articles. Derivative works are allowed with proper citation.